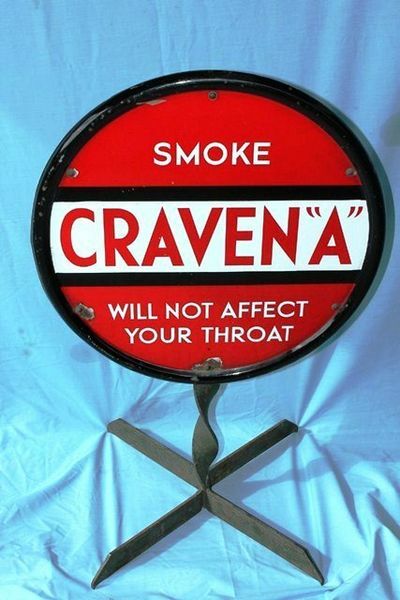 Classic Cravens Double Sided Enamel Sign . Classic Cravens A Double Sided Enamel Sign on Metal Stand. Good Bright Sign. 60cm x 90cm.